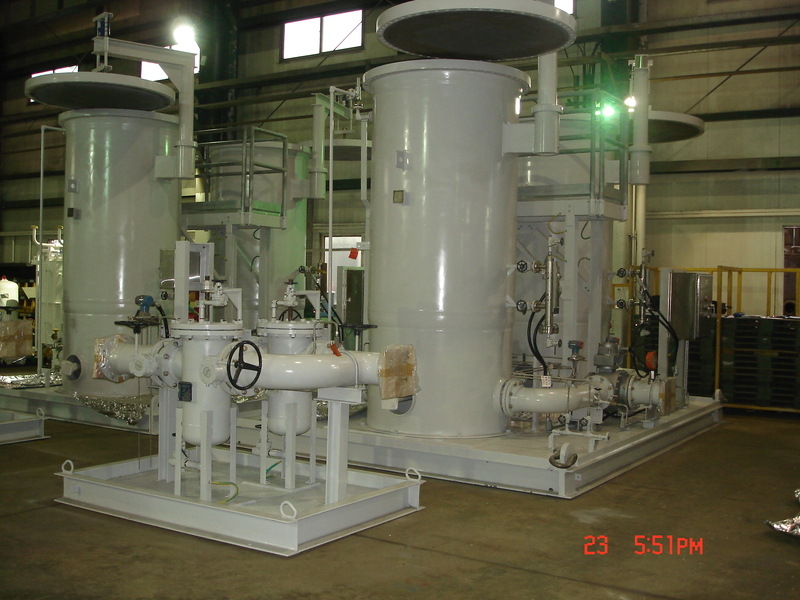 Fuel Oil Coalescing Filter and Inlet Fuel Particulate Strainer Skids For Use in Seoul, South Korea. Samsung C&T Corporation is a Korean Engineering and Construction company in Seoul, Korea. Samsung C&T Corporation received a contract from GMR Energy (Singapore) Pte Ltd. to supply a 400 MW combined cycle power plant in Jurong, Singapore. 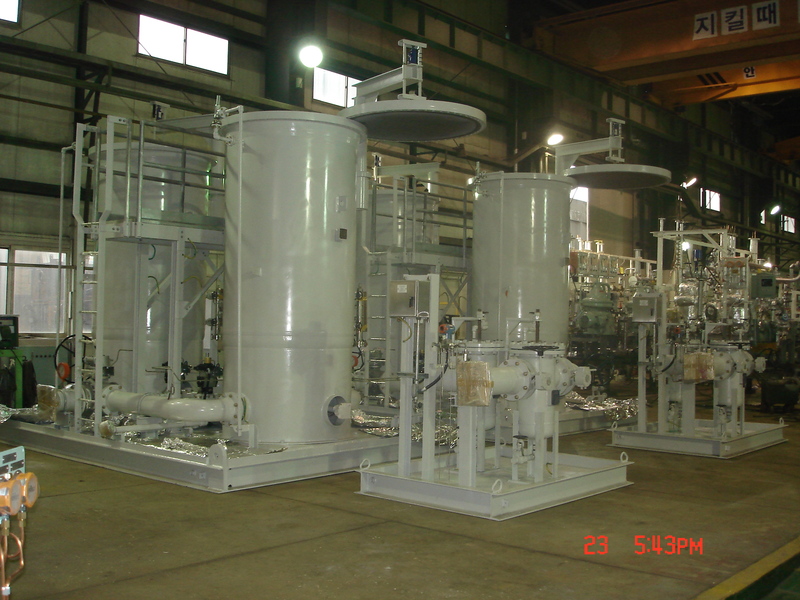 The power plant planned to use natural gas as the primary fuel and No. 2 Distillate fuel oil as the secondary fuel. 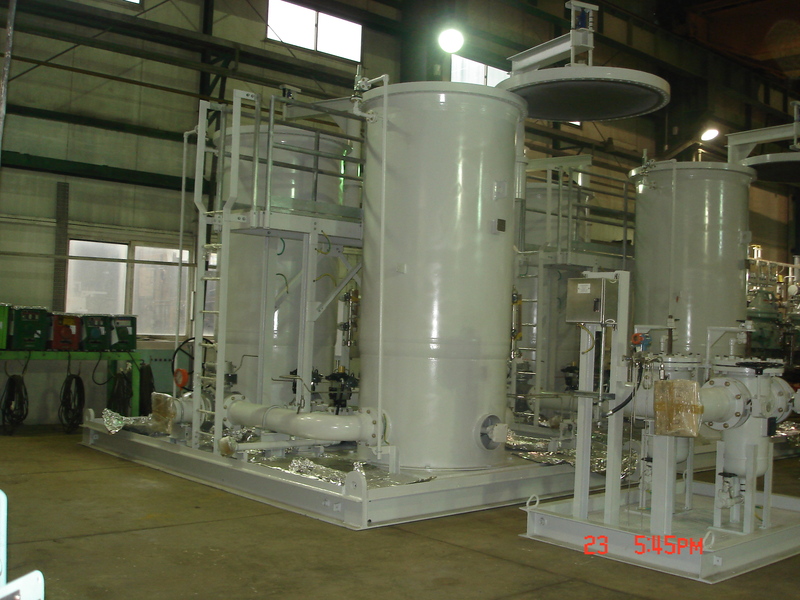 Samsung C&T contracted IFS to design and supply 2 Fuel Oil Coalescing Filter skids and 2 Inlet Fuel Particulate Strainer skids to insure the No. 2 Distillate fuel oil would be sufficiently treated to remove particulate matter and liquids including water from the fuel oil stream. Pressure at system inlet: 8.8 to 9.2 barg (Design: 19 barg). The maximum pressure drop across the fuel gas conditioning package system (immediately prior to filter change) shall be less than 0.5 bar at the design fuel oil flow. Samsung C&T requested the fabrication of the 4 modules be completed in Korea, to minimize Samsung C&T’s inspection costs and freight to the job site. 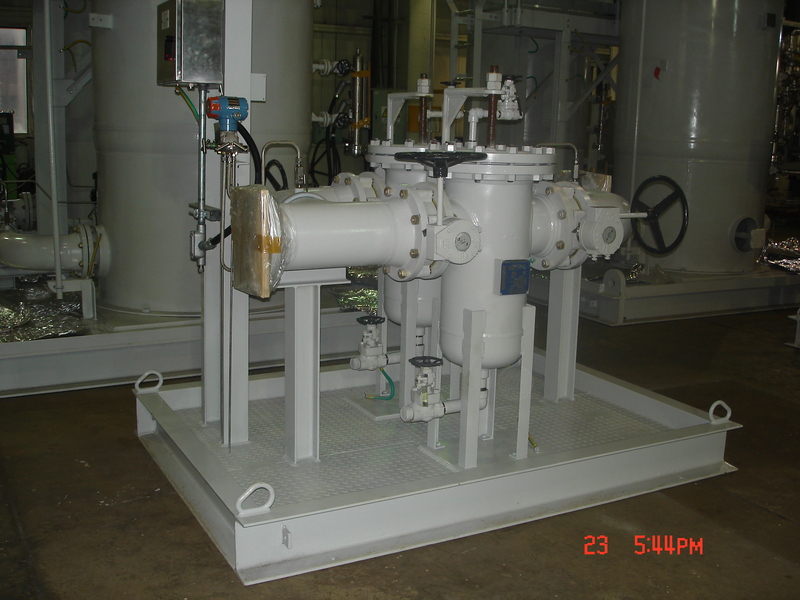 IFS had planned to design and build the 4 modules at IFS’s plant in Tyler, TX. 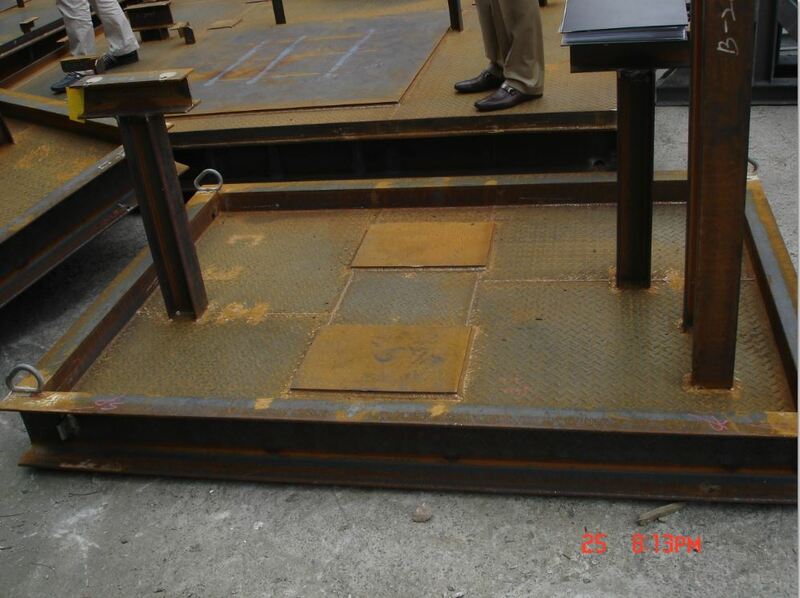 IFS had previously not performed a sub contract fabrication project in South Korea. 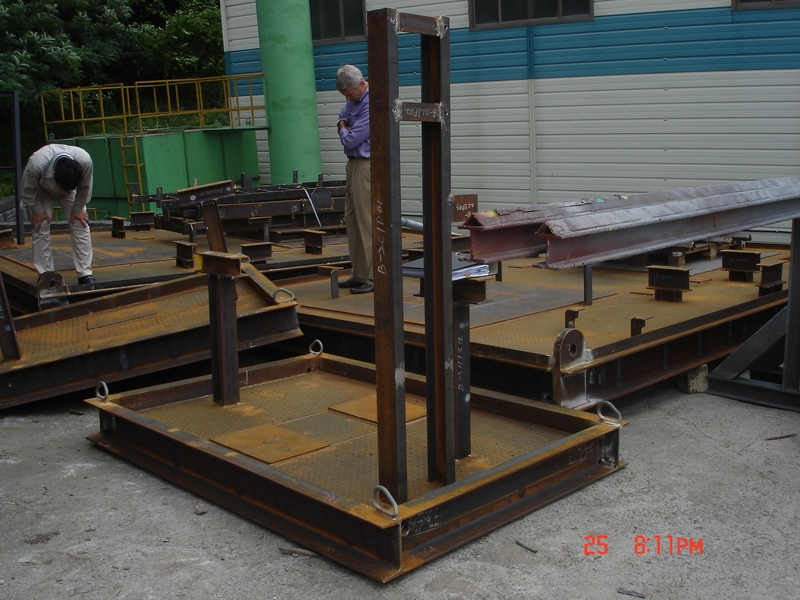 IFS contacted Sunbo Industries in Busan, South Korea, one of the main industrial cities in South Korea. IFS performed a site inspection and ISO audit of Sunbo’s Busan, South Korea facilities and became very comfortable with their capabilities. IFS performed all the engineering, design, procurement and project management from the USA and subcontracted the fabrication and assembly of the 4 modules to Sunbo. The project was completed on time and on budget.